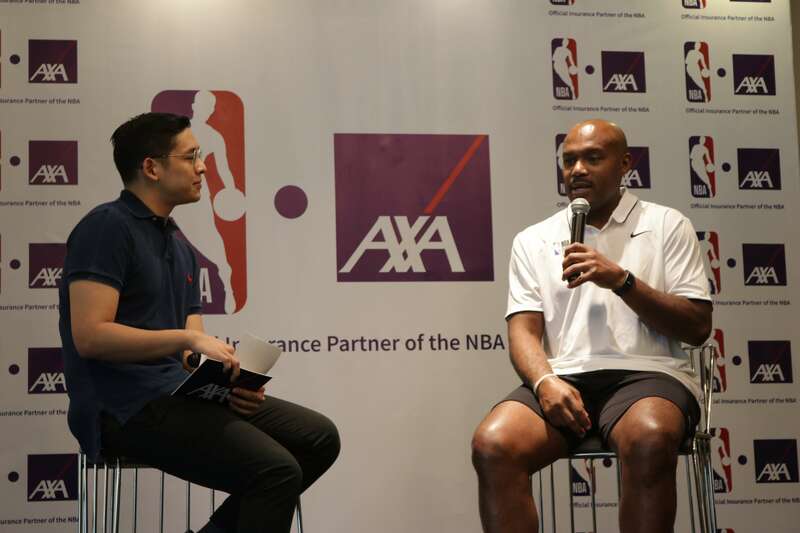 Tim Hardaway and Brian Scalabrine are in town for the 2018 NBA 3X Philippines. 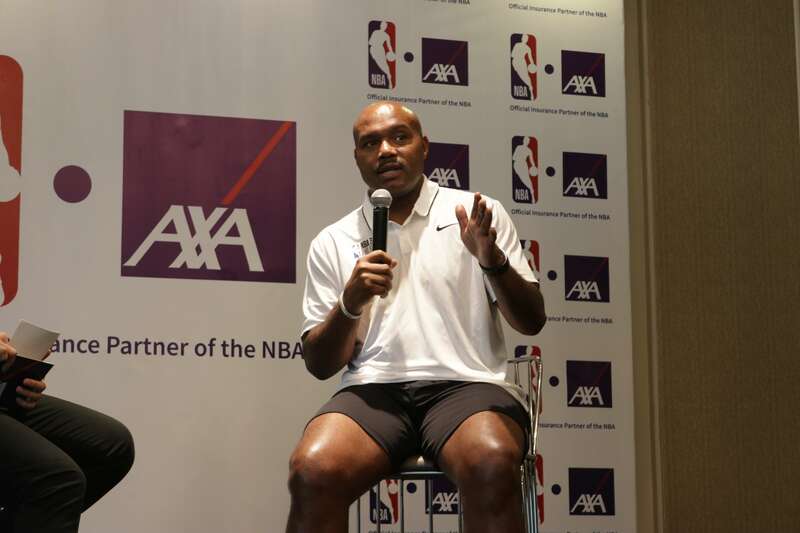 Before he graces the tournament this weekend, Hardaway sat down with SLAM PH to talk about his time in the league, coaching his son, his jerseys and his crossover. SLAM PH: We grew up watching you, you’ve been one of those fixtures for so many of us. You’re looking at a room, at a country of point guards. We don’t grow that tall here in the Philippines. Guys with a game like yours is someone we’ve always been able to relate to. Now you mentioned the Jr. NBA, you work with kids a lot, training young athletes. What is it that you look for in young point guards, that kind of piques your interest, and maybe reminds you a little bit of yourself at that young age? 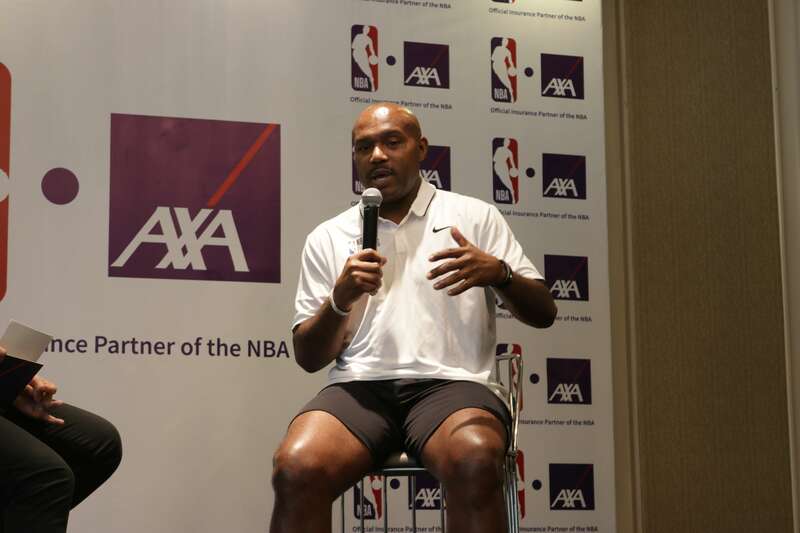 Tim Hardaway: Everybody knows my son, Tim Jr., he plays for the New York Knicks. So, I kind of understand these young basketball players today. And I kind of understand their mentality of what they’re trying to do, what they need to work on. I was always small, myself. So I can relate to point guards. I try to just teach them how to run a team, what to look for, how to just get everybody involved on the team and make everybody happy. And I try to instill in them that they are the quarterback of the team, and you have to run a team like you’re a team. You are a coach out there and you’re coaching your team to have confidence, to go out there and play against anybody, and to make shots, and make defensive plays. That’s what a point guard is supposed to do. He’s supposed to instill confidence in his teammates and make them understand, “When I pass you the ball, shoot the ball. If you’ve got the shot, make the shot. Run offense, pass and cut. Let’s play some defense, let’s rebound the basketball, let’s box out.” That’s what a point guard does, each and every day. You got to also work on your game too. So, just in case it comes down to the last shot, you can make the last shot. If you need to make a jump shot or you need to go to the hole and make a layup or pass it out, you just got to work on your shot and understand that your game has to be a finished game also. SLAM PH: I think that you’re one of those very rare players in the NBA that has certain chapters in their career. There’s some of us here, RUN TMC Tim Hardaway could be their favorite. You had that very special run with the Miami Heat as well. A lot of heated Playoff battles fo you guys, especially with the New York Knicks there. You had a special run as well with a young Dirk (Nowitzki) over there in Dallas. If I had to do it all over again, I’d do it the same way! A lot of people ask me that, but I was grateful, I was humbled. God gave me a gift and he got me into the NBA. It was just fascinating to play in two different, not eras, but two different realms of the game. On the west coast, RUN TMC, let’s get up and down the court, let’s see if we can score more than anybody in the NBA. And then I went to the Miami Heat. It’s all about defense, defense defense, defense, defense and grinding it out, beating up more people, physical. You know the New York days, we’re playing them, that’s what it was all about. So, those two realms, and how I had to play the game helped me out tremendously. Growing up in the city of Chicago, that’s how we played. We played tough. We played fast. We played slow. We grind it out. We had to be physical a little bit, here and there. So, if I had to do it all over again, I wouldn’t change a thing because I had so much fun playing both ways with two great Hall of Fame coaches in Don Nelson and Pat Riley. Like I said, If I had to do it all over again, it would be the same, with the same people. Mitch Richmond, Chris Mullin, Rod Higgins, Šarūnas Marčiulionis, then I go off into Alonzo Mourning, Dan Majerle, Voshon Leonard, Jamal Washburn, Ike Austin, PJ Brown. It was great! So I wouldn’t change a thing. SLAM PH: By the way, wearing the most fire jerseys in the history of the game. Those (Golden State) RUN TMC joints were cool, but those Miami ones with the flames on it was also slept on a lot. I only got three jerseys. I got the white one and the blue one from the Warriors. And I got the red one from the Miami Heat. I didn’t want those. I want the red one. I just like the red, with the mesh in it, with all the mesh rim. It was just beautiful. The mesh uniforms are always nice. SLAM PH: We see a lot of guys with great handles in the NBA. All these moves. Every offseason, everyone’s always with their trainers, their mother’s trainers, working on a couple of packages here and there. I want to live and die on that mountain that you have the quickest, most deceiving crossover I’ve ever seen in the NBA and I wanted to know if you think the same. TH: Yes. No question. My crossover was the quickest. And I never carry or set my man up. I just came down and I just did it. It just was a move that I had and I just did it. When I was growing up, we didn’t have time to try (imitates fancy dribbles). We just came down and just played. We just did a move and if it was successful, you kept doing that move and it helped you out to get to where you were going. My crossover helped me out to get to where I was going. Like Kyrie Irving, he got a nice crossover, he got nice handles. Steph Curry, great handles. Kemba Walker, great handles. Chris Paul, great handles. They don’t carry. They dribble a little bit too much. I didn’t dribble that much because I needed to get where I was going. I hate dribbling, I would exhaust too much energy. Don Nelson or Pat Riley took you out so we weren’t allowed to dribble for 24 seconds. I had a package but I had an agreement with Don Nelson and Pat Riley. If you get me on this side of the court, I can get it done in seven to ten seconds, not 24 seconds. So yeah. My crossover was better than everybody’s. It still is. TH: I’m telling you there’s no argument. See, most people think that I’m arrogant. I’m not arrogant. I’m just telling you that my crossover was better than yours. And that’s facts. And I tell that person, whoever I need to tell, that my crossover was better than yours. That’s just the way I am. You always have to be confident in this game to get anywhere you want to get. If you’re not confident in this game, You’re not going to reach the potential that you want to reach. I tell my son that everyday. I tell my guys that everyday. You got to be confident in yourself. You got to have a little arrogance in yourself. You got to understand that, “Hey I got to be this way in order to reach my potential.” If you don’t have that in you, then you’ll never reach your potential. SLAM PH: Coaching is something obviously that you gone with Tim, Jr. and I’m sure you do it all the time. I’ve always been so curious about what those phone calls are after you watched a Knick game, after you’ve seen a performance from him and how you coach him. You’ve also spent some time coaching with the Detroit Pistons. What’s your personal philosophy, being the great player that you are? TH: They don’t have the mentality that we have when we were growing up. They have social media now, they get to stay in the house. We never stayed in the house. We were always outside doing something. Riding a bike, walking somewhere, playing basketball, football, baseball, soccer, whatever. We were outside doing something. These kids today, they’re on social media more than they’re really thinking about playing the game of basketball. And we’ve talked about how you get their minds to stay in the moment of the game of basketball and teaching the game and working on your game. Their minds now is so (snaps) like that. You gotta create fun for them. With us, we just used to go out there and just play all day. Just play basketball. That’s what we loved to do and had fun doing it. Coaching these guys is tough, it’s difficult. You got to know how to push the right buttons and know how to back off them a little bit too. My son, I watched him play and I know what’s troubling him. I call him up if something is troubling him. If he has a good game, I just text him and just say, “Way to play.” If he has a bad game, I say, “Shake that off. Don’t worry about it. You got a game tomorrow. As soon as you shake this one off, get a good night’s sleep and be ready to play tomorrow. Learn from your mistakes tonight, so you can play tomorrow.” It’s not that long but he knows what I mean. SLAM PH: Can we somehow institute this and have Tim write the instructional manual on how to be an NBA dad? TH: I tell a lot of parents, I tell them, let your son or daughter learn. Don’t be so quick to drive to correct them or judge them. Let them come to you for help. Let them come to you and ask you questions. But just don’t go out there and think that they’re going to be this basketball player you want them to be, this way right now. You’ve got to understand, they’re kids. They’re eight, nine, 10, 11,12, 13, 14 years old kids. They’re still learning. Their bodies are still growing. I know it was hard for me. It’ hard for me to swallow my tongue and be quiet. And it was very frustrating. But, in order for him to reach his goals and in order for him to understand what he needs to do to get better, he had to learn the game himself. He had to learn the game by himself, without me interfering and trying to tell him what he needs to do and what he didn’t need to do. And that’s an experience that nobody can teach you because you’re a parent.